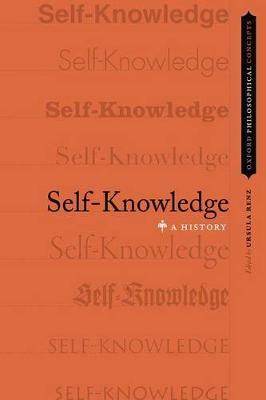 The acquisition of self-knowledge is often described as one of the main goals of philosophical inquiry. At the same time, some sort of self-knowledge is often regarded as a necessary condition of our being a human agent or human subject. Thus self-knowledge is taken to constitute both the beginning and the end of humans' search for wisdom, and as such it is intricately bound up with the very idea of philosophy. Not surprisingly therefore, the Delphic injunction 'Know thyself' has fascinated philosophers of different times, backgrounds, and tempers. But how can we make sense of this imperative? What is self-knowledge and how is it achieved? What are the structural features that distinguish self-knowledge from other types of knowledge? What role do external, second- and third-personal, sources of knowledge play in the acquisition of self-knowledge? How can we account for the moral impact ascribed to self-knowledge? Is it just a form of anthropological knowledge that allows agents to act in accordance with their aims? Or, does self-knowledge ultimately ennoble the self of the subjects having it? Finally, is self-knowledge, or its completion, a goal that may be reached at all? The book addresses these questions in fifteen chapters covering approaches of many philosophers from Plato and Aristotle to Edmund Husserl or Elisabeth Anscombe. The short reflections inserted between the chapters show that the search for self-knowledge is an important theme in literature, poetry, painting and self-portraiture from Homer.